Previous winners have gone on to experience very successful musical careers. 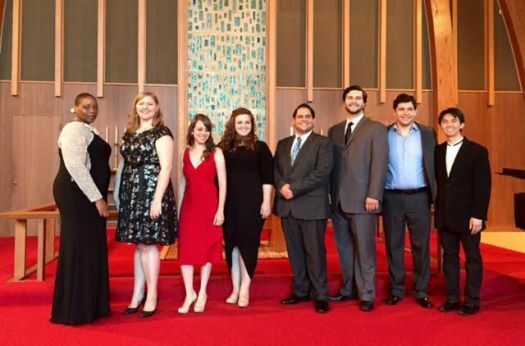 Another Tri-State College Vocal Competition Winner achieves more. Baritone Andrew Manea, 2nd place winner in 2013, has been showcased in the Wagner Society of Cincinnati’s “New Voices” in September, 2015. A recent entrant to our Vocal Hall of Fame is mezzo-soprano Alyssa Martin, the 2012 Tri-State College Vocal Competition winner. Alyssa revisited the Opera Guild at our 50th Anniversary Grand Finale dinner in November of 2013. She sang with Adam Fry as they entertained attendees with their beautiful voices. During the 2014-2015 season, Alyssa was an Emerging Artist with the Virginia Opera. She sang the roles of the Page in Salome and Flora and Annina in La Traviata. She will complete this season covering Don Ramiro in Mozart’s La finta giardiniera as an Apprentice Artist at The Santa Fe Opera. Looking ahead, she will be a Marion Roose Pullin Studio Artist at Arizona Opera in the 2015-2016 season. Read more about Alyssa at her Website–Click here. A very bright star is shining over mezzo Elizabeth DeShong and is reflecting back to Opera Guild of Dayton. After Elizabeth won second place in the Tri-State College Vocal Competitions in 2001 and 2002, she launched a fabulously successful operatic career. Her acclaim has earned her roles with many of the most renowned opera companies, such as the Metropolitan Opera, San Francisco Opera, Lyric Opera of Chicago, Weiner Staatsoper, Royal Flemish Opera and many more. When Elizabeth performed at the Glyndebourne Festival in 2012, The Guardian wrote: “…this is, quite simply, one of the great operatic performances. It is dominated by DeShong, whose voice combines a contralto opulence with blazing top notes and some of the most staggering coloratura you will ever hear…” Per the June 2015 issue of Opera News, she will debut at the Festival International d’Art Lyrique d’Aiz-en-Provence in France this summer singing the role of Hermia in Midsummer Night’s Dream. Click here to read more on her fabulous career. Soprano Alyson Cambridge, winner from 2000, joined the Young Artists Development Program in 2003-2004, has sung with the Metropolitan Opera and a number of other prominent opera companies. Click here to read more about Alyson. The winner and audience favorite from the 2009 Vocal Competition was Andrea Shokery. She has been busy since competing. Click here to read about her at www.andreashokery.com. The 2003 winner, Scott Skiba, has gone on to achieve diverse and unique accomplishments including being a stage director, singing actor and opera instructor. 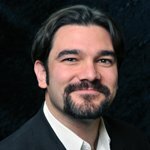 He is currently the Director of Operations and Resident Stage Director for Opera per Tutti, the Cleveland-based Opera Company whose critically acclaimed performances are attracting new Opera fans and supporters of all ages in a wide range of communities and demographics in Northeast Ohio. Scott is a faculty member at the Interlochen Arts Academy where he is instructor of voice and opera workshop, and is the Executive Director of Oberlin in Italy, The Oberlin Conservatory of Music’s annual summer study abroad program in Arezzo, Italy. Read even more about Scott’s busy career on his Website by clicking here. Read all about 2006 winner Adam Fry on the Pittsburgh Opera Website where he is currently an Artist-in-Residence. Click here for the details.